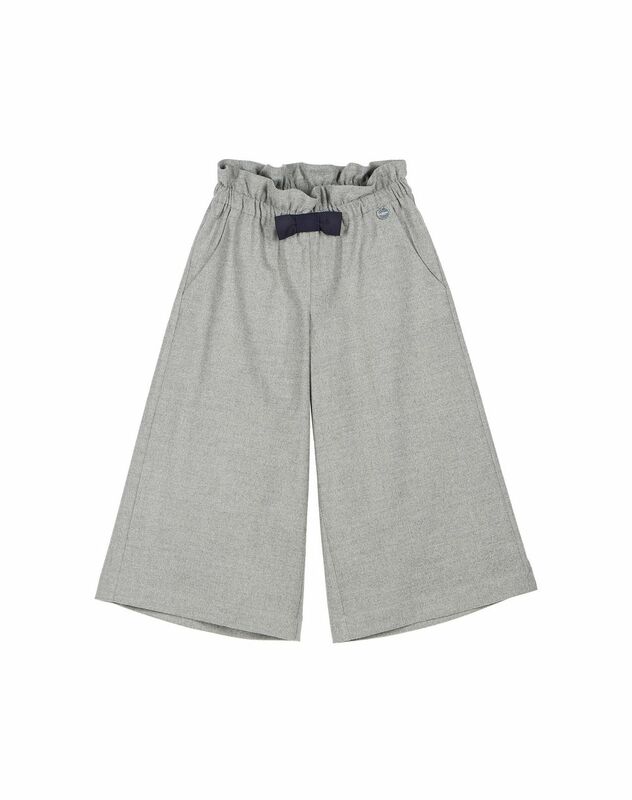 Gray palazzo pants with elastic waist, navy blue grosgrain bow, Lanvin-engraved medal and slanted side pockets. 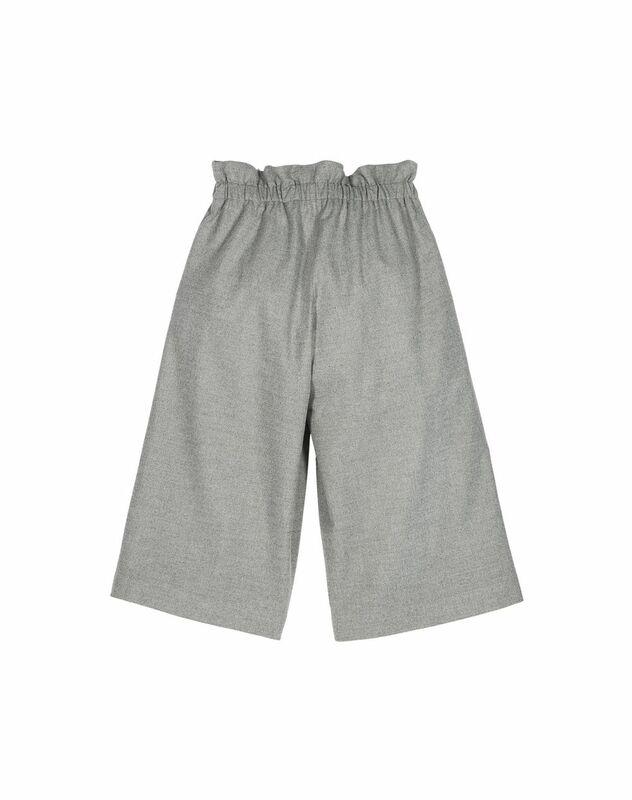 Comfort meets luxury in these flared pants that flow with your child's every move. 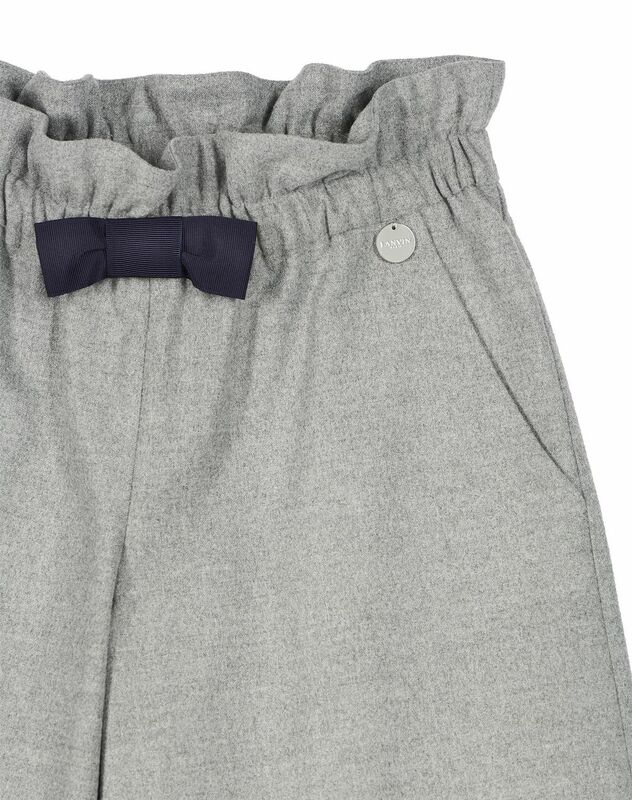 The elastic waist and bow give them structure and an elegantly feminine look. The subtle Lanvin-engraved medal detail leaves the brand’s mark on this model. Main materials: 69% polyester, 29% viscose, 2% woven elastomultiester. Made in Italy. Care conditions: Hand wash. Do not use bleach. Do not tumble dry. Iron at low temperature. Do not dry clean.